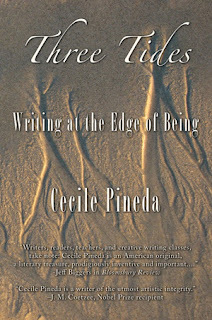 Cecile Pineda touches on issues of displacement, personal, environmental and cultural, as she talks about 40 years of the writing life, the breakthroughs, the discouragements, and the daily practice. She will read and sign copies of Three Tides: Writing at the Edge of Being. Time will be set aside for questions and answers. Pineda is widely recognized as the winner of the Gold Medal from the California Commonwealth Club and nominee for the 2015 Neustadt International Prize. I have no recollection of where I read this, but I read it recently, and I connected it immediately to what we are about to experience under a Trump Residency. The Resident-to-be has the attention span of a cockroach, and the ability to make up whatever statement suits the moment with a liar’s tongue longer than an ardvaark’s. On the campaign media circus, the Resident-to-be pledged to appoint the very best people to help him run the business of the country. 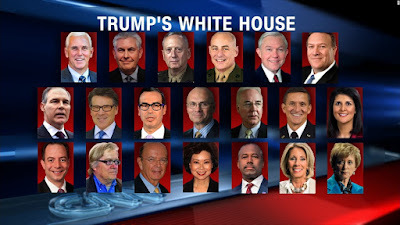 Hereare their qualifications: wealth beyond the dreams of Croesus; a medalled military resume; and/or determination to scuttle the agency they’ve been appointed to lead. The combined assetsof this cabinet happens to be just north of $14.6 billion, equal to more than a third of American households. For those among our population of over 300,000,000 who are inclined to lay back and “wait and see,” there is no need to wait any longer. Trump’s cabinet contains a sufficient number of gargoyles to remodel Notre Dame." For a GARGOYLE GALLERY, see below. The slog ahead will be a long one. Things will not magically turn around after 49 Bardo days. We are in—minimally—for the next eight years. All the demonstrations scheduled for D.C. and around the country are just the juicy foretaste, the opening salvo. • campaigns against mass incarceration, illegal deportations, torture, militarization, nuclear war, war in space, etc. Sign Block Trump’s Cabinet of Hate. Secretary of “Defense” James “Mad Dog” Mattis. Four star commander of Centcom, served in the Marines. Famous quote: It’s a hell of a lot of fun to shoot [Afghans}. Actually it’s quite fun to fight them….It’s a hell of a hoot. Net worth: only $2.9 billion. Mike Pompeo. Director of the CIA. Graduate of West Point, and Harvard Law. Editor of the Law Review (in the tradition of another editor of Harvard law review who became a famous violator of internal law.) Swept into Congress by the Tea Party wave of 2010. Scott Pruitt. Administrator of the Environmental Protection Agency. He has sued the EPA twice. A climate denier who fought the expansion of the Clean Water Act. A loyal buddy of the oil and gas industries. Rick Perry. Secretary of Energy. Ex-Governor of Texas, U.S. most progressive state. Failed Dancing with the Stars contestant (came in second to last). This guy has no idea that he’ll be overseeing the U.S. nuclear arsenal. He’ll be sitting in the catbird seat if Trump follows his promise to engage in a nuclear arms race. He forgot the name of the agency he proposes to abolish. Rex Tillerson. Secretary of State. He’s an ex-Exxon/Mobil CEO. He’s hot on the trail of oil and gas contracts with Russia. He supports the fossil fuel industry. The timing isn’t quite right now that glaciers are melting in the European Alps, the Andes, Alaska and the Arctic. Net worth: $150 million. Steven Mnuchin. Secretary of the Treasury. Former Goldman Sachs partner. Foreclosed on a 90=year old woman over a 27-cent bookkeeping error. He has plans to privatize Fannie Mae and Freddie Mac. Co- founder of One West Bank, known as a foreclosure machine. Net worth: $46 million. Wilbur Ross. Secretary of Commerce. Former investment banker, known as the “king of bankruptcy” for buying up failing companies in the steel, coal and textile sectors, and selling them at a profit at the substantial expense of workers, and worker safety when one of the mines he purchased in Sago, West Virginia exploded, killing 12 miners. Net worth: only $2.9 billion. Linda McMahon. Administrator of Small Business Administration. No political experience other than as member of Connecticut Board of Education 2009-2010. Net worth: a shabby $500 million compared to her husband’s $1.14 billion. Elaine Chao. Secretary of Transportation. Moved from banking to the Reagan White House. Married to Mitch McConnell. Member of Wells Fargo (holds a position in Energy Transfer Partners-Dakota Access Pipelines funder) board of Directors. Responsible for monitoring the bank’s actions and leadership during the time the bank created millions of fake accounts. Net worth: $22.2 million. Ryan Zinke. Secretary of the Interior. Former Navy SEAL. A confirmed climate denier and champion of fossil fuels. Maybe he’ll want to mine the Grand Canyon, and clear cut the Tongass National Forest. Ben Carson. Secretary of Housing and Urban Development. Vocal opponent of some of HUD’s initiatives such as desegregating public housing, critical of social safety-net programs such as rental assistance, public housing, and various community development grants. Lacks any housing experience. But plenty of net worth: $26-30 million. Tom Price. Health Secretary. A strident critic of Affordable Care Act which he intends to dismantle. Rated Zero by Planned Parenthood which calls him “a direct threat to women’s health and rights.” Member of American Physicians and Surgeons which claims among other things that HIV does not cause AIDS, that Obama may have won the Residency by hypnotizing voters, and that doctor participation in Medicare and Medicaid programs is evil and immoral. Net worth: $13.6 million. Andrew Puzder. Secretary of Labor. Opposes minimum wage increase, overtime pay, and advocates replacing workers with machines. As CEO of Hardee’s/Carl, Jr., he’s paid more in one day than many workers make in a whole year. His restaurants have been charged with 98 federal or state safety violations. He opposes unions and unionizing, and considers labor just an “extra cost.” Annual salary: $4 million. Jeff Sessions. Attorney General. Killed both congressional attempts to pass comprehensive immigration reform. His score on LGBT issues is zero, and an F from the National Organization for the Reform of Marijuana Laws (relating to mass incarceration for drug offenses). He was rejected for a federal judgeship for intensely racist remarks. Net worth: $7.52 million. Junior gargoyle #18. Nikki Haley. Ambassador to the UN. She’s just a locum tenens. Her replacement as Governor of South Carolina is one of Trump’s earliest supporters, Henry McMaster. Her nomination will be a shoo in. David Friedman. Ambassador to Israel. He never saw an illegal settlement he didn’t like, rejects a two-state solution, and knows zero about diplomacy. He’s fine with Israel confiscating all remaining Palestinian territory. Gargoyle-in-waiting #20. Sylvester Stallone. Trump pick for Director of the NEA. He’s made a career playing tough-guy, jingoistic cinema heroes. But he’s playing hard to get. Maybe Trump will have to grease the Rambo skids. 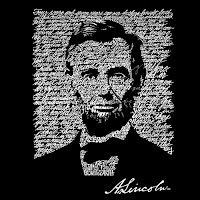 Now we are engaged in a great civil war, testing whether that nation, or any nation so conceived…can long endure. We are met on a great battlefield of that war. We have come to dedicate a portion of it, as a final resting place for those who died here, that the nation might live. 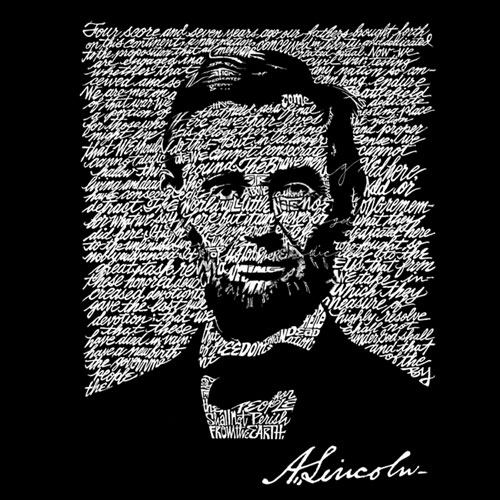 But in a larger sense, we cannot dedicate, we cannot consecrate, we cannot hallow this ground.... the brave men, living and dead, (and the women and children) who struggled here, have hallowed it, far above out poor power to add or detract…. Quite often great writers don’t know what they’re writing. Only with the passage of years does the meaning become plain. Can a nation so conceived on the genocide of native peoples, men women and children long endure? 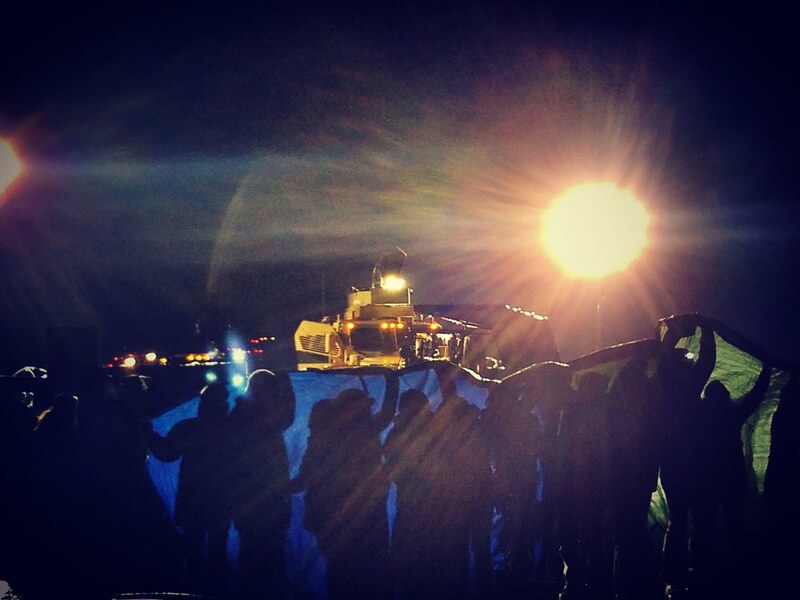 Now we are assembled on a great “battlefield,” Standing Rock. But to the Sioux it is not a “battlefield.” It is sacred ground, ground consecrated by the lives of their ancestors who lived and died and were buried there. But it has drawn the white man’s battle lines once more, between brother who may be ordered to slay brother, as this youtube of Michael Wood, one of the veteran organizers of the veterans mobilization at Standing Rock makes plain. In the video below, he describes on the Jimmy Dore show how the veterans plan to meet the order to disperse coming down tomorrow, December 5. This war is not a war between men and men. This is a conflict between people and an inanimate set of pipe segments about to be laid beneath a water supply impacting millions downriver when (not if) it leaks. Because inanimate objects, like people, also leak. Because they are designed by people who leak. If this pipeline is to be averted for good it will be because the veterans have finally understood: this is not a fight, not like the gladiator contest they were trained to “win.” This is hallowing of sacred ground. Until all men, all people, white and of color recognize the hallowing, the earth will not live eternal. Only her hallowing can ever guarantee it. Michael Wood is a former marine who with army vet Wesley Clark, Jr. put out the call for vets all over the country to stand with the water protectors of standing rock as UNARMED human shields. Another realistic view of the danger of the situation unfolding, a pipeline whistleblower describes the scene at Standing Rock. Boycott ACE hardware for refusing to sell propane to the water protectors at Standing Rock. 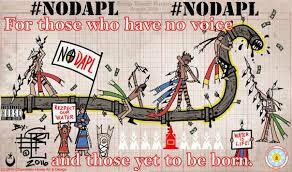 Close your bank account at any bank capitalizing the pipeline. Sample script: I stand with the Standing Rock Sioux Tribe and the water protectors defending their sacred land and water against the Dakota Access Pipeline. It is your job to take responsibility for protecting people peacefully exercising their First Amendment Rights against the attacks of law enforcement, and to reject a pipeline that imperils the water supply for millions of people downriver. Lend financial support to the water protectors. Lend support to the vets whose go-fund campaign for essential supplies and be sure to watch the video of Michael Wood speaking. Nominate Gov. Dalrymple Hypocrite of the Year. The confrontation at Standing Rock intensified this week. The Army Corps of Engineers has unilaterally declared that the Sacred Stone camp will be cleared as of December 5. They seem to overlook the fact that this is Sioux land as David Archambault II, Sioux Tribal Chairman, has reminded us. At the same time, a caravan of over 1,000 Iraqi Veterans Against the War is setting out from all over the United States to stand with First Nations People at Standing Rock. Donate to their go-fund me campaign for travel expenses. In fact the current Resident managed to visit Standing Rock, but in 2014, where he shed crocodile tears about the U.S. government‘s centuries of abuse of native peoples, but now that the true lines of power have been brutally exposed, this Resident has been quoted as saying, let’s just see how things play out. 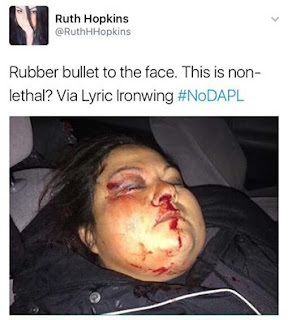 The media meanwhile continues to spin the bankers’/petro-oligarchs' story, but any reference to riots and thugs truthfully needs to be laid at the door of “law” enforcement, because Standing Rock has in fact become a magnet for volunteers eager to participate in yet another American Indian War. Last week, we ran a photograph of a severely wounded, but unnamed woman. She is 13-year-old Vanessa (Sioux Z), who has suffered a detached retina from a “law” enforcement projectile hurled at her. 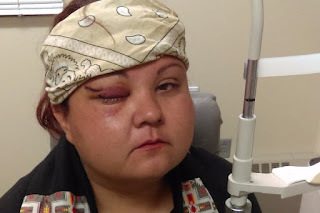 You can go fund her retinal re-attachment. Even more severely injured (by a concussion grenade, legally required never to be aimed at personnel, civilian or otherwise) has shattered the elbow of Sophia Wilansky, with injury to bone, nerve and muscle. Currently Sophia is hospitalized in Chicago where doctors are performing repeated surgeries, attempting to save her arm. Send donations to her go-fund-me campaign. Meantime, the mound across the river, a Sioux sacred site and burial ground was being encircled with razor wire yesterday by employees of Energy Transfer Partners while a long shot shows other personnel standing on top of the burial grounds. 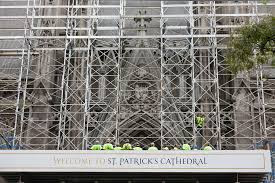 Imagine—for one shocking moment—a quick direct action by New York State’s Iroquois Confederacy (the folks who gave us language for our own “Constitution”) stringing razor wire around Saint Patrick’s Cathedral, and riding horses into the sanctuary. Some people don’t need to build stone cathedrals because the Earth’s magnificence is Cathedral enough. This is a time to listen to what they have to say. It’s time to abandon confrontational ways of thinking—and lay down lethal arms if life on the Planet is to survive. 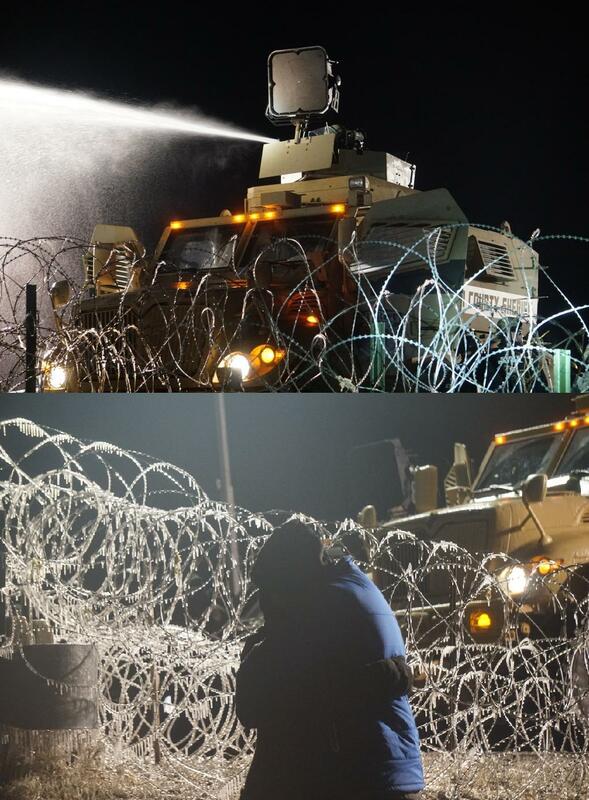 Last night I watched live feeds as the white man fired rubber bullets on people trapped on a North Dakota bridge, unable to leave, subjected to water cannons under below-freezing temperatures, sustaining serious injury by tear gas, their ears deafened by MRAP sound cannons, all for the crime of protecting the water for future generations, and for saving their sacred sites. Protecting them from the inroads of a corporation bent on exploiting fossil fuel all the while the climate is collapsing, with the atmosphere now saturated with more than 400 PPM of carbon (the threshold being 350 PPM). Try to call the Whitewash House to call off the Resident’s and the oil company’s dogs, but the Resident is asleep, the office is closed. The Justice Department is closed for business. Try later. Call easternstandardtime 9 am to 5 Pm Monday. This message will be monitored for quality control but will not be recorded. Good bye. How many more injuries will be sustained during this night of horror while America sleeps huddled in doorways, trying to stave off the cold, how many deaths before Governor Dalrymple of North Dakota calls off his hounds, before the Army Corps of Engineers takes a stand, before the DAPL re-routes the pipeline from hell away from First Nations' sacred sites? How many traumatized children and women and men, before Maitreya appears? How long oh lord, how long before the world is ready to receive thy saints? The below 10 minute raw footage is from a Drone camera. Around 5:20 in you will see water cannon attacks that are incredible! The entire piece, however gives you the lay of the land, the fires that were started to keep people warm, even water cannon attacks on the drone itself! To keep an eye on live news you please use the #NoDAPL hashtag on twitter, or go to the Indigenous Environmental Network's feed! 4. In every way you can think of please get involved. Our lives and the lives of our beautiful planet depend on us! Oil amounts to war and death. Support alternative energy sources now! And let us remember: WATER IS LIFE! YES! The entire plateau surrounding both Indian Springs, site of the notorious drone slaughterhouse known as Creech AFB, and Cactus Springs, home of Code Pink’s drone resistance, consists of hundreds of thousands of hectares of Western Shoshone territory, including the highly polluted Nevada Test Site, from which, despite the Treaty of Ruby Valley of 1863, the native Shoshone have been displaced. At this time of year, temperatures range from freezing in the nights and pre-dawn mornings to 80 degrees and above in the noonday sun. At each of the cardinal points, mountains encircle the desert in a vast embrace. Uninterrupted by highways, roads and pathways through the desert are unpaved. The expanse of land is flat except as it rises towards the foothills where it begins to mound, creating shallow desert washes. Vegetation includes mostly desert scrub, the rare palmetto and occasional Joshua tree. The land is home to the desert tortoise (a creature shy of appearances), desert hares, rabbits, hawks, crows, and many other bird species, as well as snakes. The sweep of sky is vast, normally cloudless. But these days, starting just past dawn, a dense webbing of chemtrails chalk-lattices the sky every day of the week, Sundays included, the only exception being national holidays. For the uninitiated, chemtrails are part of a geo-engineering effort under the pretense of slowing global warming, to spread aluminum salts and dispose of excess coal ash from planes flying at about 33,000 feet—with no accountability or input from tax- and non-tax-paying citizens.. It is an area not devoid of sound pollution, paid for by your tax dollars: five days a week, there is the steady rumble of training drones being flown from Creech AFB Monday through Friday, lasting from 8 AM till 3 PM. Only outside these hours can the profound silence of the desert be fully appreciated. Before the white man, the desert—and all the Earth—was considered sacred. It did not serve as a place where objects such as beer cans, broken glass, spray bottles, paint cans, aerosol cans, rusted bedsprings, rotting mattresses, and rubber tires could be dumped. Archeologists of the future will speculate those heaps of rusting palm-size cylindrical metal objects, marked by two triangles gouged out on one side must have been devotional objects the original desert inhabitants may have held in their hands as they worshipped. 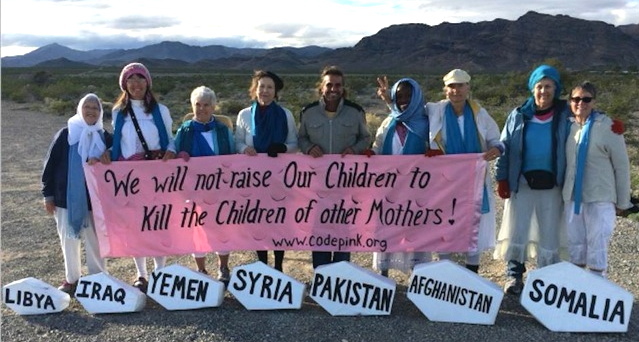 During a week (Nov. 5 – 12, 2016) of anti-drone warfare protests under the auspices of Code Pink, some eighteen of us activists camped out or shared sleeping quarters in a double trailer guest house. Taken together, we represent collectively close to 600 years of dogged activism. Among us are elders, one of whom despite her years and state of health, journeys to Palestine twice yearly to insure the safe conduct of Palestinian children as they pass through Israeli check points on their way to school; a Korea war veteran with a fearless penchant for risking arrest; a wilderness experience coach, and activist whose people-to-people journeys have taken her to war zones in Iraq, Afghanistan, and Bahrain; a U. S. retired diplomat and co-organizer of The Women’s Boat to Gaza; a corporate CEO; a retired licensed therapist, a novelist, and a university anthropologist and linguist, to identify only a few. Also participating, besides Americans, were nationals from Mexico, Pakistan, the Shoshone Nation, the UK, Spain, France, and Iran-via-Germany. Nearly every evening we attended presentations by a number of our participants. Notable was the presentation by Col. Ann Wright, a retired US diplomat, who had just returned from two visits to Standing Rock, and who shared with us a fully vetted secure website where donations of much needed funds can be made. She also gave us a full report about The Women’s Boat to Gaza, intercepted in international waters by the IDF, which impounded their boat on the high seas (an act of piracy countermanded by international law). Despite the silence of the complicit US media, The Women’s Boat to Gaza is an internationally effective gesture pointing up the plight of Palestinians under Israeli apartheid, essentially people being held in an open-air prison where their access to power, waste disposal, and water is highly curtailed. Other presenters spoke of their activism in Palestine, about the essentials of Islam, and the history of Pakistan, about cultural, and environmental population displacement, and about “Gifting” as a way of being-in-the-world in contradistinction to an economy of Exchange such as Capitalism prompts us to take for granted. Every morning (except Friday—Veterans’ Day) we were awakened at 4:30 AM by native Shoshone drumming summoning us to a prayer circle to greet the dawn. Circling a cedar fire, we joined the dancing and chanting with our own heartfelt invocations for the life-affirming world we want to see. Some of us grabbed a cup of coffee and a bite to tide us over the long hours (6 to 8 AM) of standing on the highway at the Creech AFB gate, in time to greet base personnel as they began arriving—most of them driving single-passenger vehicles from Las Vegas (46 miles)—with our banners (DEMILITARIZE OUR EARTH; DRONES MAKE MORE ENEMIES THAN THEY KILL). The winter darkness, illuminated by headlights, gave way to the dawning light, and as the temperatures rose, we shed some layers, allowing us to stand in the hot sun. We repeated this action each afternoon from 3 to 5 PM as base personnel left to return to Las Vegas (another 46 miles). For the most part, the drivers chose to keep stony faces attempting to ignore us; but occasionally a driver might wave, or even give us the thumbs up. From time to time, big rigs roaring past us on the highway blared their horns in doppler effect support. We activists, depending on our own cars, added to the carbon release caused by heavy base personnel traffic. As global citizens we are part of the International Peace Patrol. Creech AFB, through its participation in the U.S. drone assassination program, is in direct violation of the United Nations Declaration of Human Rights, articles 3, 7 and 10. As an active member of the U.S. Air Force, your duties indirectly support the illegal activities taking place on this base. Therefore you are complicit in the crimes against humanity being committed here. As global citizens, we order you to disperse immediately and to stop helping the illegal drone program to continue. If you fail to comply with the order to disperse, you will be trespassing against the human rights of the people of Afghanistan, Iraq, Syria, Yemen, Pakistan, Libya and Somalia who are victimized by U.S. drones. Therefore I order you to disperse. (After repeated readings of the above statement while counting down, the final statement was added): Since you have all failed to disperse, we are compelled to make a citizen’s arrest of the commander in charge of Creech AFB. At the top of the chain of command, Colonel Case Cunningham has the highest responsibility to ensure that all international laws are being upheld. We call on all personnel at Creech AFB to either stand down, or to assist us, in making this arrest to protect the global community. Following the first reading of this text, one of us reported how as a veteran of the Korean war, witness to corrupt military behavior, he attempted to report to his superiors and to his congressman. Base personnel listened to this reportage with noticeable interest. A recent drone massacre of 15 Afghani men who slept peacefully in their beds alluded to the 15 faceless men cutouts we had placed at the barriers in commemoration of their now-forgotten names. Skillful melding of three elements: a text which coopted the official language of police and military personnel; the supporting “chorus” of the 15 faceless cardboard cutouts; and especially by the ceremonial aspect of the slow procession by the five willing to risk arrest, carrying the formal banner, as they processed toward the trespass line made for a spectacularly successful action. Our colleagues in Las Vegas at Veterans for Peace and the Nevada Desert Experience went to great trouble to register us, allowing us to participate in the Veterans’ Day Parade. The parade fee was waved, contrary to media reports. As the last group to be registered, we had to wait in the hot sun for nearly two hours as the military display formed up past us and entered the parade route. At last it came our turn. We proceeded onto the parade route with our peace banners held aloft. In short order we were forcibly cut off from the rest of the parade and two of us were detained. The pretext given was “No political messages allowed in the parade.” Yet wasn’t all that military display “political messaging?” Wasn’t it yet another commercial for endless war, and endless war profiteering? Undeterred, we continued walking, some of us forced to the sidewalk, some of us fielding such objections to our presence as: “They served,” implying that we had not served. And yet there were five veterans amongst us, two of them young vets from recent wars, one had served in Korea, the same one who proceeded undaunted, only to be handcuffed by irate police. Another participant was tackled from behind. Unable to see that he carried a cop on his back, his impulse at first was to resist. Comrades loudly cautioned him not to offer resistance. Our videographer was also temporarily handcuffed. Both men were released without charges. Despite these setbacks, overall our action was successful. People watching on the sidelines got a full picture of our First Amendment Rights being trampled; they saw the unfairness of excluding vets whose deeply informed inclinations against the horrors of war must also be honored. And many bystanders engaged in meaningful conversations as we proceeded. As of this writing, the feasibility of a lawsuit against the Las Vegas municipal police for improper and unsanctioned behavior is being explored. 1. Resist. The time to sit on the sidelines waiting for “Joe to do it” is past. We are all Joe now. 2. Join up with organizations protecting the environment, protecting the homeless, advocating for low income housing, advocating for the safety of people of color and LGBT in the streets of our nation, advocating for election protection so that yet another election can’t be stolen, advocating for demilitarization of our society at home and abroad, advocating for an end to the prison/corporate complex. 3.. 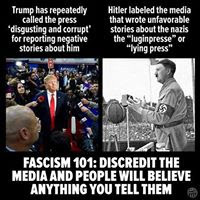 Educate yourself and your children about what fascism looks like. 4. If you can’t stand with the Native Americans at Standing Rock, here is a secure and fully vetted donation site where you can donate. Funds are much more urgently needed than supplies. Where you were when Kennedy was shot? People born in the U.S. have been accumulating leading questions for some time. Now, thanks to a sensationalist media, we have a third: Where were you when you heard Mr. Trump in all his vulgarian vainglory was to be inaugurated as the 45th Resident of the White(wash) House. 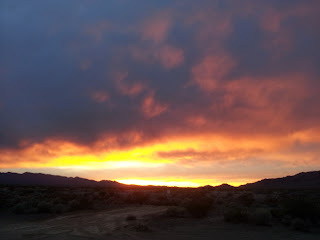 I was greeting the pre-dawn Nevada desert sky in a prayer circle led by a Western Shoshone Chief who chanted prayers to Mother Earth, to the sky, to the water, to the Earth and to the fire. I was there along with some 15 (the number varied as the week progressed) other people committed to ending the terrorism of drone warfare, of targeted assassinations originating in the White(wash) House every Tuesday morning when the current Resident signs off on the “Kill List,” which includes mostly Arabic names of people unknown to him, many of them innocent and non-combatants, people who are someone’s son or daughter, someone’s father or mother or good friend, most of them by- standers, who once they are good and dismembered, the U.S. identifies as enemy combatants (but they have to be good and dead to achieve this elevated distinction). And to stop the “double-tapping” of those deeply humanitarian people who rush to aid the fatally wounded and dying only to be dismembered for their efforts. As global citizens we are part of the International Peace Patrol. Creech AFB, through its participation in the U.S. drone assassination program, is in direct violation of the United Nations Declaration of Human Rights, articles 3, 7 and 10 [to which the U.S. is a signatory]. As an active member of the U.S. Air Force, your duties indirectly support the illegal activities taking place on this base. Therefore you are complicit in the crimes against humanity being committed here. Circling the fire pit with the Shoshone Chief, we were reminded that a different world exists, a world from before “Contact,” a world before the White Man set his annihilating foot on this continent, where people who inhabited this landscape understood a little better how to take care of Her. It is a world that still exists. Each morning last week, for a little while, we were invited by the Chief to re-enter that world, to greet the dawn with prayers, dancing and chants in the Chief's native tongue. To visualize the vast expanse of desert surrounded by majestic mountain ranges to the east, south, west, and north, lit only by the moon and starlight of 4 AM, stars as thickly scattered as sand on the shores, slowly extinguished one by one by the dawning of first light, the sky lightening to the crowing of the resident rooster, its faint blue light yielding to yellow, then to a faint blush of rose, the sun rising at last and against its blinding first rays, and as the Chief drummed and chanted, two doves alighting on the utility pole directly in the sun’s face and making love; to give thanks for the blue of distant mountains to the east, and to the growing blush of mountains to the west, to be reminded that each day lived on Earth is a blessing for us to bless, this it seems to me is what matters. Such a world is still possible if humans rediscover how to make it so. We have been traumatized by months of unpardonable vulgarity, hubris, hatred, rabble-rousing, all amplified to a roar by a complicit media, numbing our minds with the relentless blaring of the TV, our wits dulled by more than a century of the dumbed down “free” education mandated by the State in order to socially engineer an ignorant, uncritical citizenry more easily fooled and controlled. We see the result. The new Residential phenomenon is NO ACCIDENT. It results from a relentless barrage of empty television noise, the product of a political class bent on collaboration with the banker and corporate class striving to amass billions at the expense of our national infrastructure and the citizenry it purports to represent. My own sense was that Trump would be declared the “winner,” with the aid of caging and by cross checking voters’ names (mostly poor and people of color) off the rolls, and that regardless of who might “win,” there would be activity and mayhem in the streets. But when the next four years draw to a close, we will see the very people who voted for Mr. Trump feeling betrayed and disillusioned by a man who, regardless of this words, has never had any intention at heart of coming to the aid of the disaffected, and who has the attention span of a cockroach. 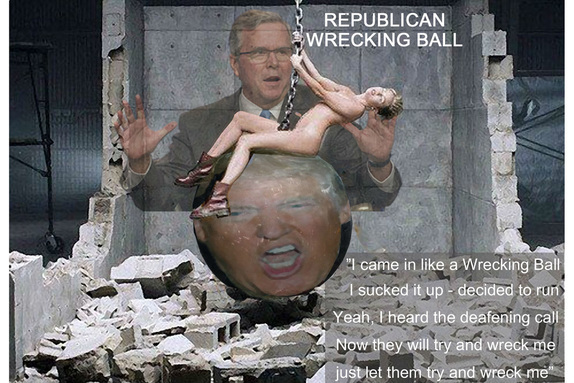 Meantime, he will have done his damage, become complicit in the suffering and deaths of millions of war victims, millions of deportees, ripped apart from their families, many of them sent back to the starvation and death squads they came here hoping to avoid. This world is not a sane one, Trump or otherwise, and to expect sanity to emerge from it strikes me as nothing short of delusional. The mission of this country has become the suffering of millions. What is Left After the Wreckage? Although the State is powerless to change, it is a mistake to think that the people themselves are without power. We have the power of imagination, the ability to visualize another world and the will and energy to create it, locally, enclave by enclave, tribe by tribe, refusing to acknowledge defeat, strengthened all the more by this new challenge and by the evidence of history. Nowhere on Earth have a people ever been tyrannized by an unjust regime without resistance and revolt. We are all in for interesting times. We can join hands around Lake Merritt in Oakland, but these are symbolic gestures. They will encourage people, and remind them of solidarity based on the love existing in their hearts, but we are now faced with an extreme challenge. Careful analysis is necessary, responsible leadership needs to emerge, a leadership endowed with vision, restraint, and fierce integrity.